A nouveau wave of Mexican cuisine has washed over Perth and as a big Mexican food fan, I am all for it. Now I’d been to el PUBLICO (http://perthmunchkin.com/2012/03/31/el-publico/), twice now actually, but a place around before this Highgate haunt was not too far down the road in Northbridge – La Cholita. I’d been keen to go, but had perhaps been slightly dissuaded by the tales of loooong waits. I’m not terribly patient, especially when I’m hungry. 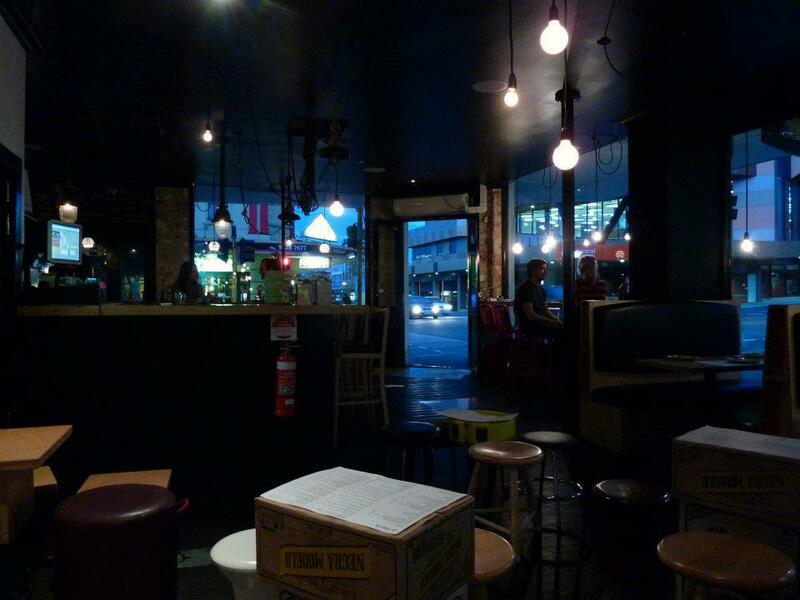 So we thought our best bet would be to try it out on a weeknight and aim to arrive at 6pm. Surely there’d be no dramas with a table then? 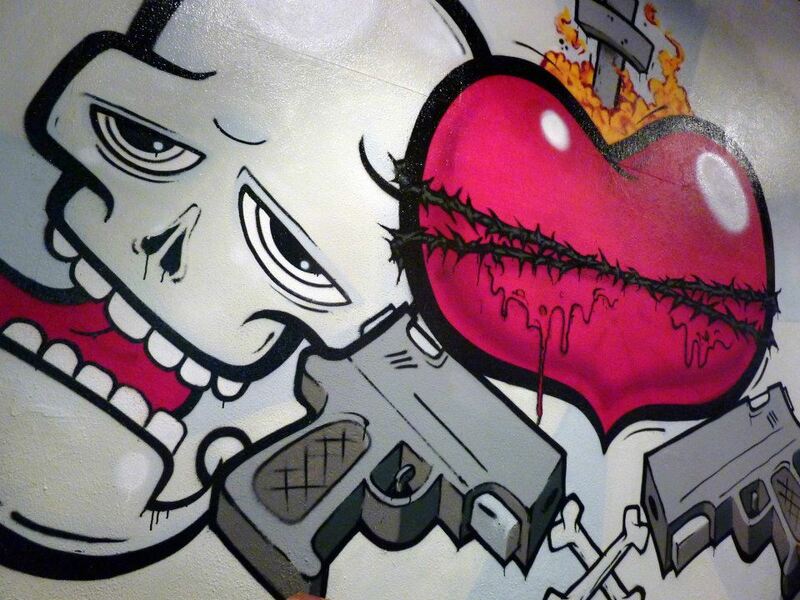 So I caught the train from work into town and wandered into Northbridge. Clearly I had expected this to take longer, as I arrived at 5:40… well ahead of schedule. I was into the waiting area and ordered myself a glass of Argentinian bubbles. Mainly because I’d never tried Argentinian bubbles before and I thought it would be worth a go. So the time went by quickly and by 6pm everyone had arrived and we were shown to one of the booths near the window, which was nice. The place itself is actually much bigger than I had expected. It sort of stretches out in two directions, but there’s a decent amount of seating. The décor has the whole shabby chic thing working for it, which I liked, except for one of the holes in the floor board on the walk to the bathrooms, which my heel fell through. Scared the bejeepers outta me! But that aside so there the four of us sat. 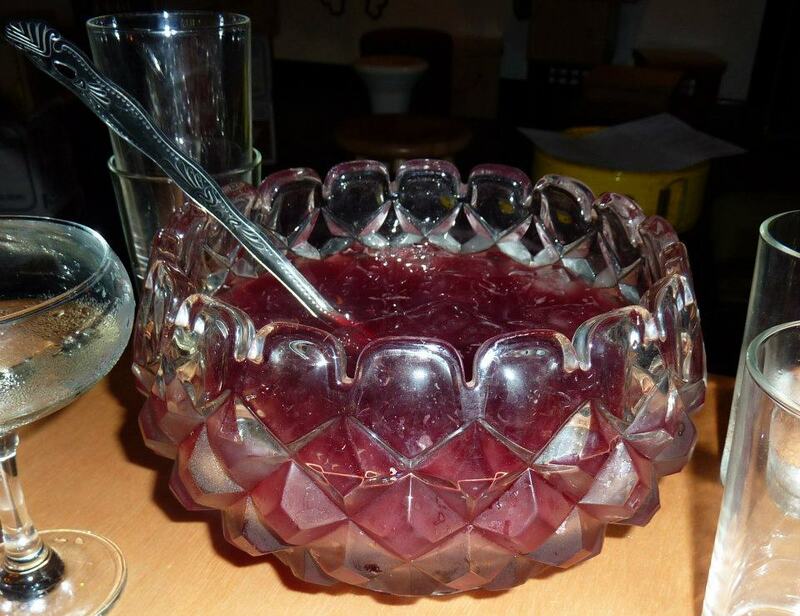 First order of business was what to drink… and a litre of sangria just seemed to make good sense so we ordered that and it was a little special to have it brought out to us in a very old school glass punch bowl. Perhaps slightly more challenging on the pouring into glasses front, with the small ladle provided, but that task fell to GG and he handled it well. The menu itself isn’t overly long, so we decided we would just work our way through each of the sections. 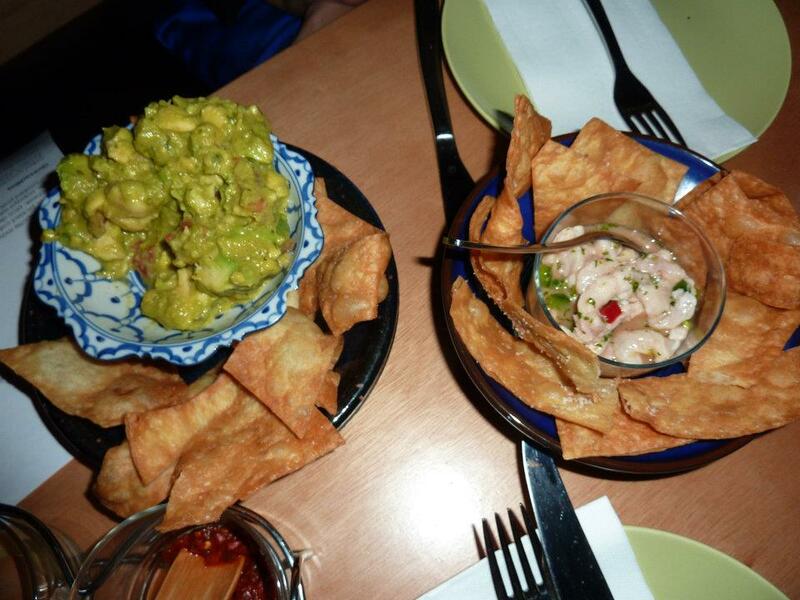 So starting with the Entradadas we order a serve of their homemade guacamole and flour tortilla chips. 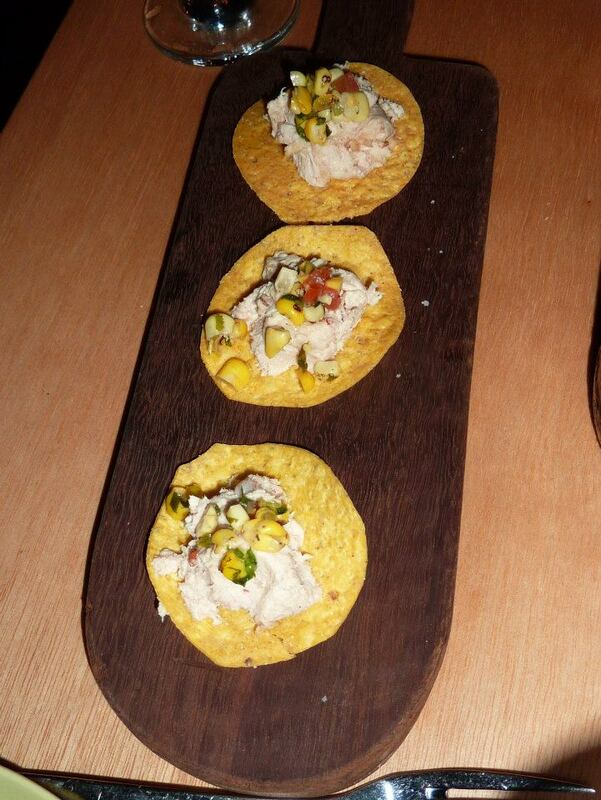 As well as this we also decided to give the ceviche a go. 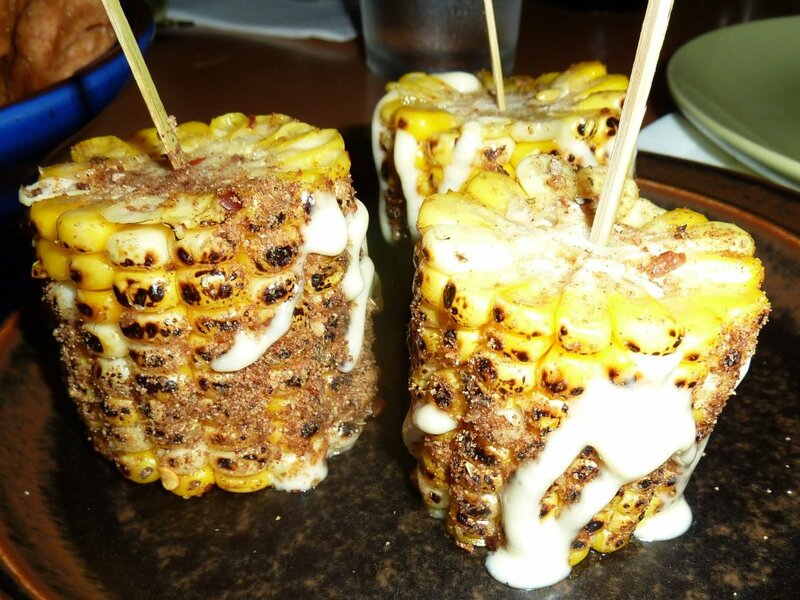 Oh and the street corn. Glad we asked about the corn actually. I had assumed that one serve was one cob, but one serve is three little bits of cob, which is actually better. If we hadn’t asked, we would have had 9 bits of cob between 4, with one person not fancying corn. So that would have been a bit over the top. 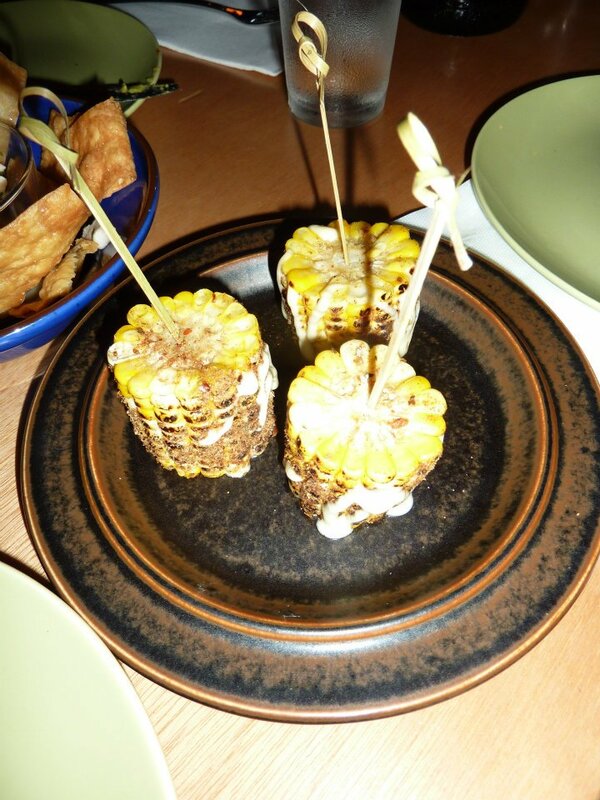 Having said that though, the corn was beautiful! And I think I could have happily munched through a few more cobs. 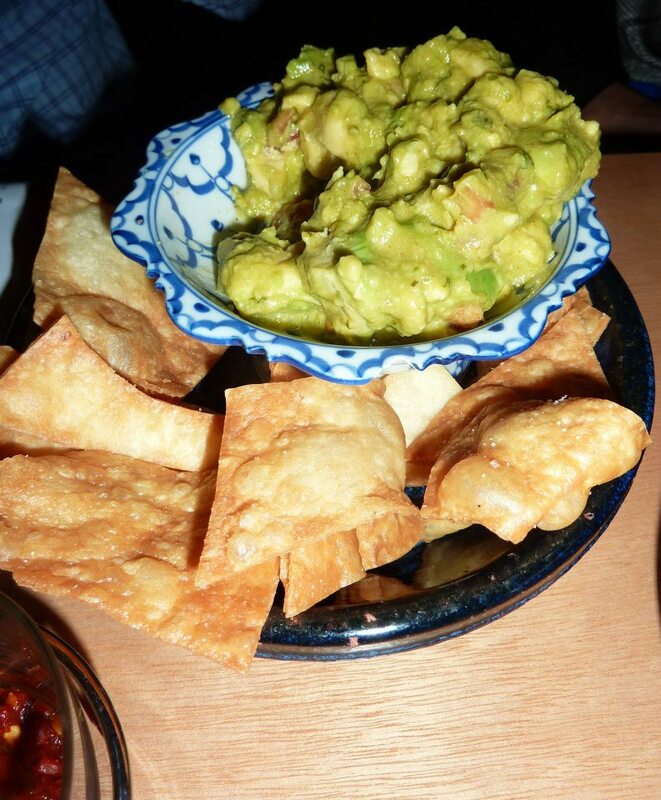 The guacamole was beautiful and chunky with a lovely coriander flavour through it and the homemade flour tortillas were crispy and tasty and just delightful! 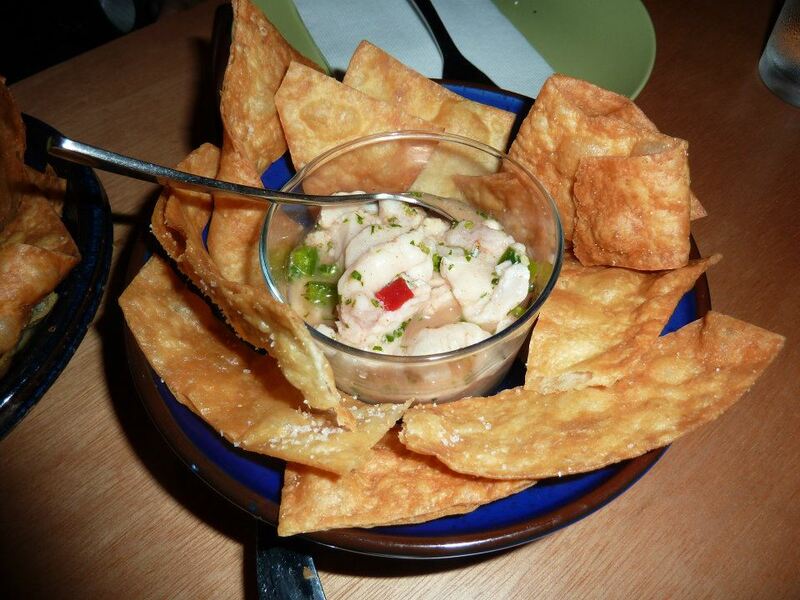 The ceviche wasn’t too bad, was just not exactly what I had expected. 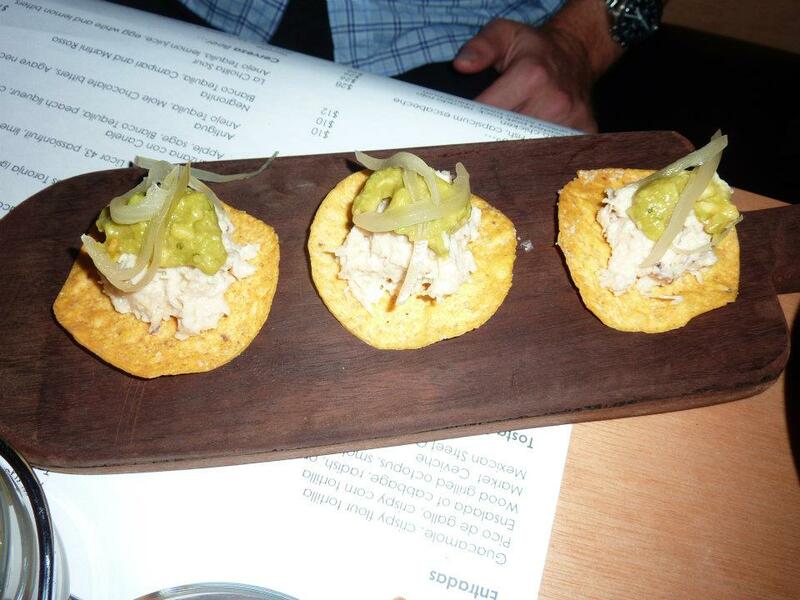 Was almost like the guacamole in a sense, given it came served with tortilla chips on the side, so it was almost like a raw fish dip of sorts. It was ok, but probably not my favourite ceviche experience. Yes they were small, but the price for that serve wasn’t obscene at $6, plus I thought they were all well prepared and a tasty combination of ingredients. The crab and avocado was a well matched pair, the chicken and corn was pleasant though the chicken has sort of a strangely smooth consistency, kind of like you sometimes get in chicken sandwiches. I would have preferred it shredded or a little chunkier I suppose. 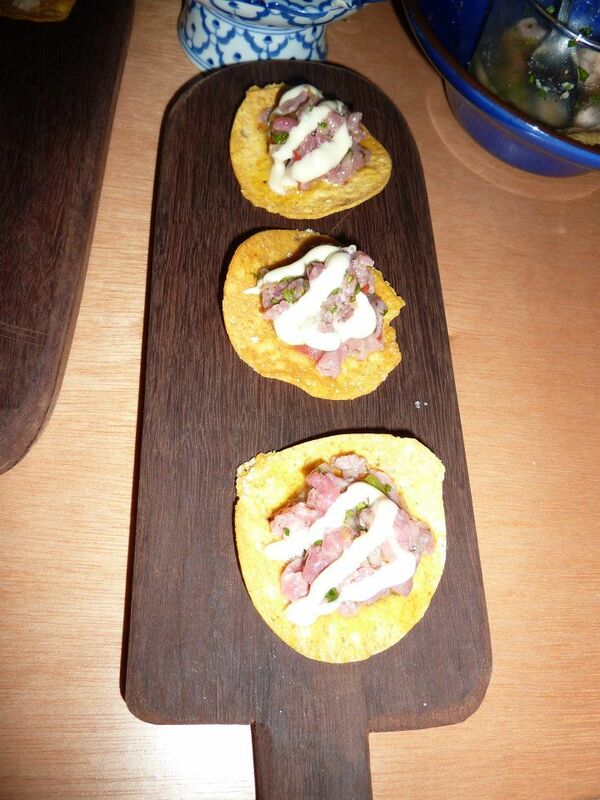 And the beef tartare was my favourite – just a beautiful flavour to it. 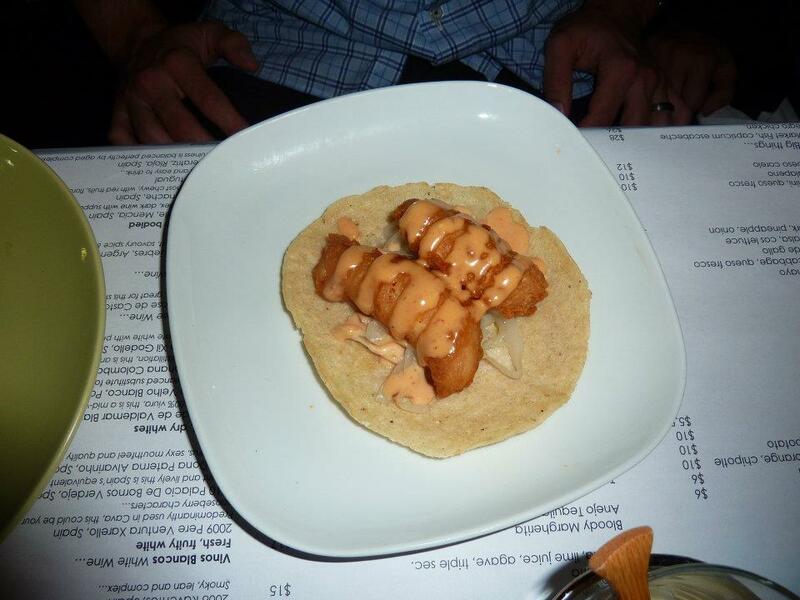 while Mr M decided to try the Baja Fish, chipotle mayo ($6). 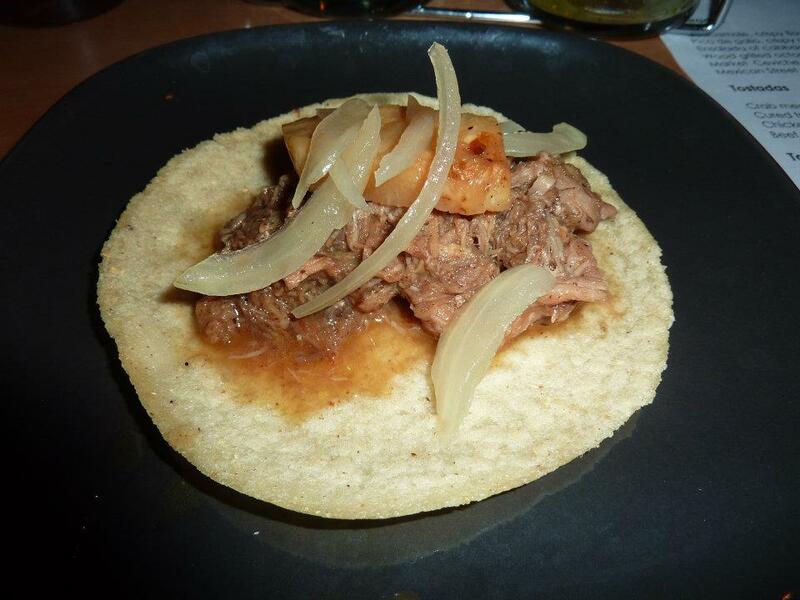 I really enjoyed the pork taco and thought the sweetness of the pineapple worked so well with it. Yum, yum, yum! Mr M seemed happy enough with his fish taco too. 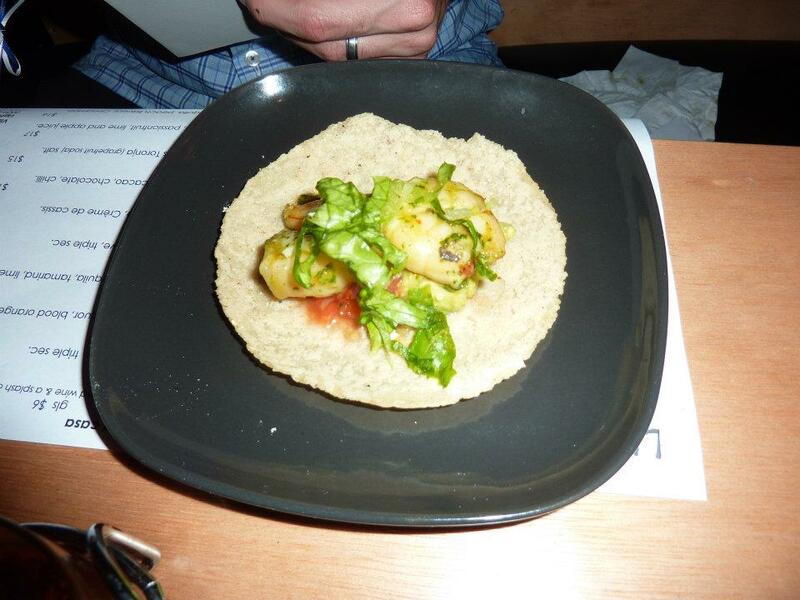 So I was pretty comfortable at this stage, but Mr M ordered one more taco….. this time the Prawn, papaya salsa, cos lettuce ($6). Again, he was fairly happy with it. We decided we’d skip desserts on this visit and sat for a spell enjoying the rest of our sangria. I’d enjoyed the food and I think having gotten to try so many things off the menu by sharing them around was a good way to go. It means when I head back I’ll know a few of my favourites and will order them again. I’d thought the service had been incredibly friendly and attentive. The speed of our food arriving was all fairly prompt considering our staggered approach to ordering and given that the place had filled up to capacity, while we enjoyed our meal. And price wise, between the four of us, it hadn’t really seemed too bad. I’m well pleased about all this new Mexican fare on offer. 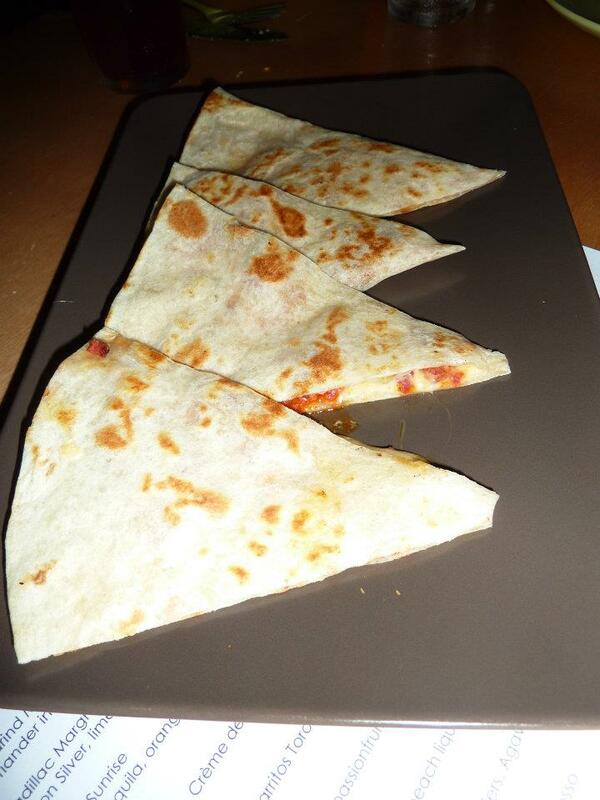 With its fresh, modern flavours, I’m not surprised at La Cholita’s continuing popularity.